Each year ROW Adventures seeks to higher a few exceptional individuals to lead outdoor adventures in the Spokane/Coeur d'Alene region. 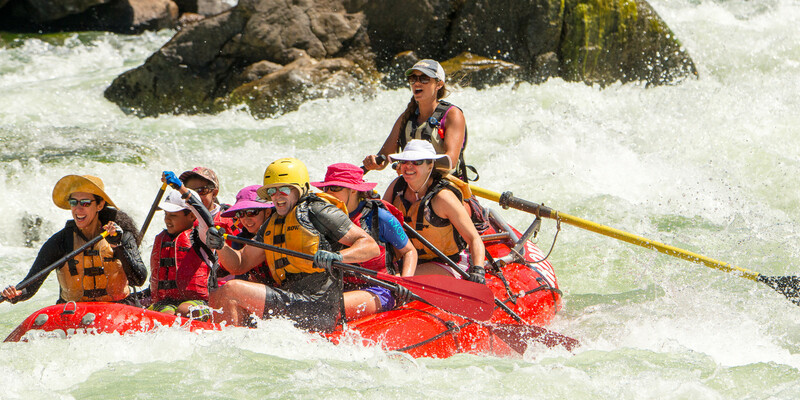 ROW Adventure Center Activity Guides lead a diversity of half-day to multi-day activities including rafting, sea kayaking, mountain biking, trail biking and hiking trips. Guides assigned to the Spokane outpost primarily guide whitewater rafting and float trips on the Spokane River. Guides assigned to the Coeur d'Alene outpost primarily guide sea kayaking trips on Lake Coeur d'Alene and bike trips on the Route of the Hiawatha. No guiding experience is necessary to apply, but all hires must successfully complete all required training before beginning work. New ROW Activity Guides join a highly experienced staff of fun-loving, thoughtful and talented outdoor professionals with a tremendous passion for the natural world. As much as we love outdoor recreation, we love sharing about the cultural and natural history of the areas in which we travel even more. ROW hires individuals committed to excellence in hospitality and safety, who desire to provide meaningful interpretation to guests, support conservation efforts, desire to grow and learn, and who seek to set the high water mark in their professional and personal lives. Due to the breadth of rivers and types of trips ROW runs, this position offers a great entry to what can become a long, rewarding career in outdoor leadership with ROW Adventures. Does this sound like you? Then apply to join our growing team! Safely convey ROW guests on all ROW activities, including rafting, sea kayaking, hiking, mountain biking and trail biking trips. Provide meaningful interpretation to our guests on natural and cultural history topics pertinent to each trip, such as geology, Wild and Scenic Rivers, early homesteaders, Pacific salmon etc.